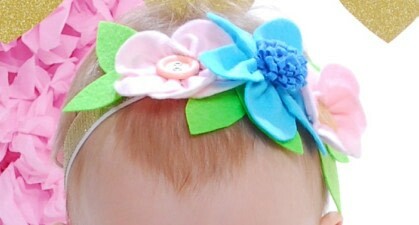 This cute flower headband is perfect for your fairy princess! To create the blue flower you need to take your strip of felt and fold it enough times that you have 5 layers. Then cut out your petal shapes. 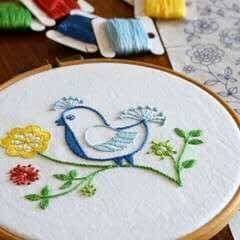 Lap the petals over each other and do a gathering stitch along the bottom and pull to create the petal look, remembering to knot the thread to stop the gathered petals coming back out. To create the blue flower you need 2 colours of blue felt. Cut the outer colour as 6 large bumps, all as 1 piece, then do a gathering stitch along the bottom and pull to create the petal look and knot the thread to stop the gathered petals coming back out. Take the inner colour and fold your piece of felt in half before cutting slits through it, leaving a gap along the bottom. Then roll the felt and put some stitched through the bottom so that it all stays together. 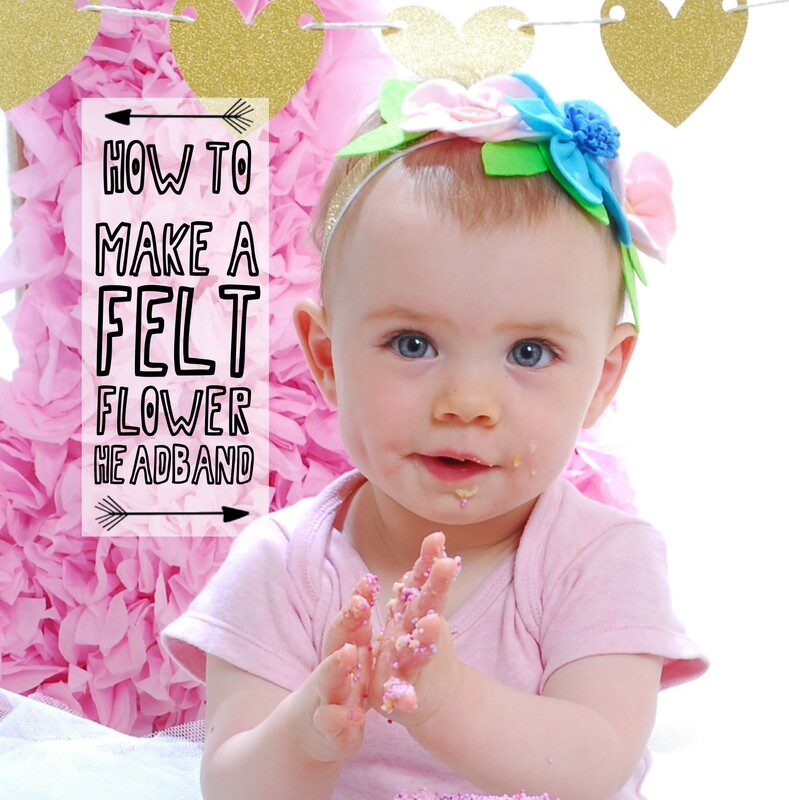 Finally wrap the outer petals round the rolled middle and sew them together to create your flower. 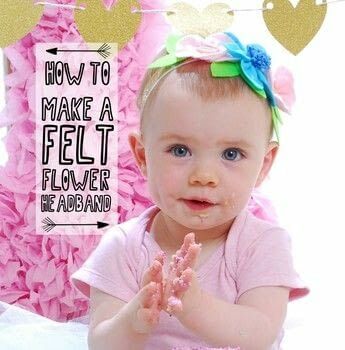 To create the headband you can either measure the babies head and sew together a piece of elastic that's slightly smaller so that it fits when the elastic is stretched OR you can just buy a headband to sew the flowers on to. Then with your elastic loop, first sew on the blue flower and then sew a couple of leaves behind it. 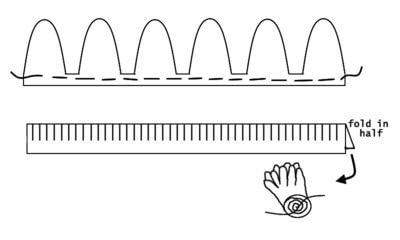 Sew pink flowers on either side of the blue, but make sure the overlap as when the elastic is stretched, the flowers will be pulled further apart and you don't want gaps. Sew your buttons in the centre of the flowers and finish off by placing your remaining leaves round the edges, under your petals.